This tutorial will demonstrate how to setup your new AcuGraph easily and properly. Also, it tells you the 5 most important things you need to know before getting started with the system. 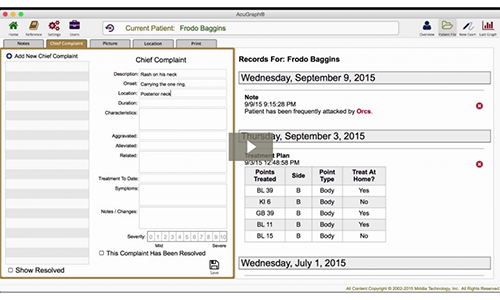 Learn how to manage your patients in AcuGraph 5. 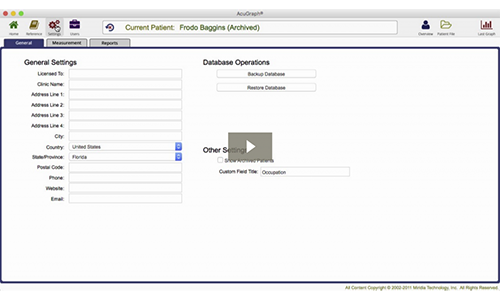 This tutorial covers how to add and edit your patient information, securely show or hide patients, and sort the database effectively for quick and easy access to patient files. Access patient files and learn how to use notes, add chief complaints, add pictures, track symptom locations, and print reports to be sent out to your patient. 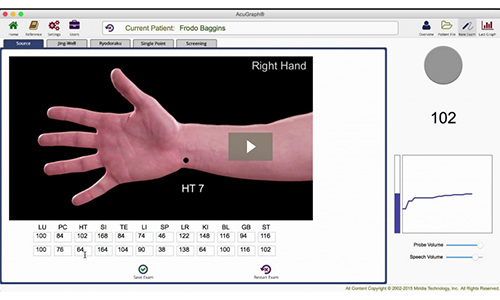 AcuGraph 5 has robust case management to track interactions between you and your patient. Discover all of these possibilities with your new AcuGraph software. Learn about all the different AcuGraph exams! The exams included are: Source, Jing-well, Ryodoraku, Single Points, and Screening. This tutorial will walk you through each of these exam types, and will teach you why they’re included and when you want to use them. 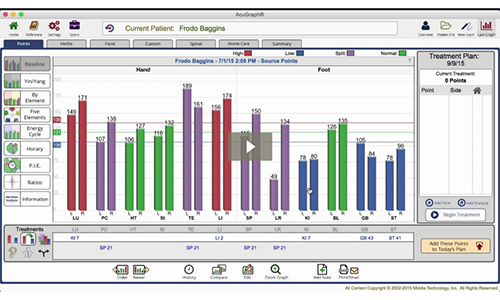 Learn about each of the graphs available in AcuGraph 5, interpret the results, and understand what all the data means so you can communicate to your patient effectively. Find out how to take full advantage of each of the graphs included in AcuGraph 5. This tutorial will help you learn how to build your treatment plan quickly and easily by determining which points to treat and tracking what your treatment plan is for each patient. Use AcuGraph’s recommended treatment points or build your own custom treatment plan. 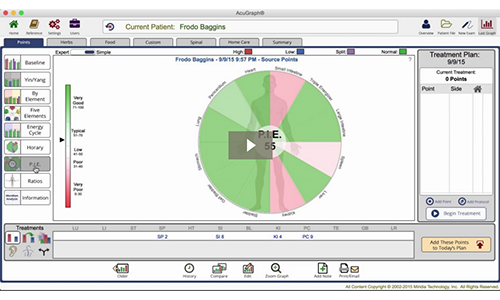 One of the most impressive features of AcuGraph 5 is the flexibility and power that it leverages in building an advanced treatment plan. 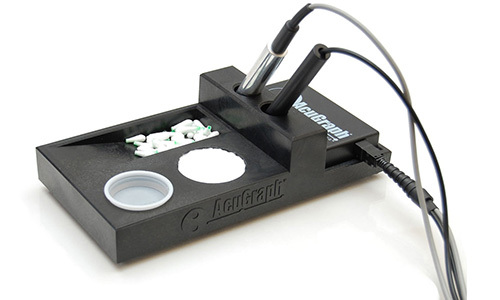 From substituting points to adding additional points for specific treatment enhancement, the tools are built in to AcuGraph. In this tutorial we will demonstrate how to build an advanced treatment plan. 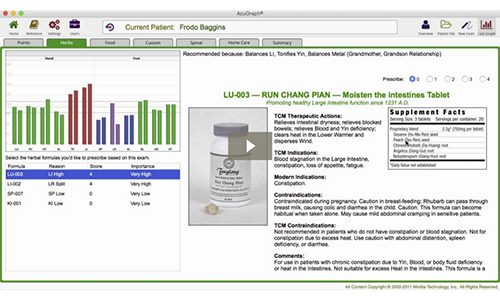 Learn how to prescribe herbs based on the graph results for your patient using AcuGraph 5. Track what you prescribe, teach your patients and monitor results over time. 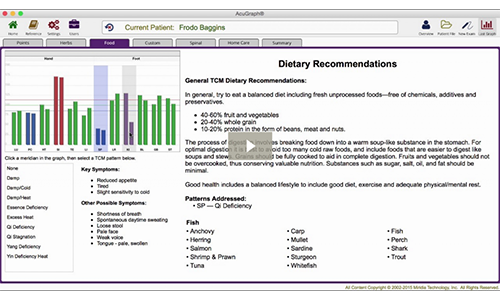 This walkthrough will show you how to include food recommendations using AcuGraph 5 as part of your patient recommendations. Plus, learn how to teach your patients how to implements this in their day-to-day decisions. 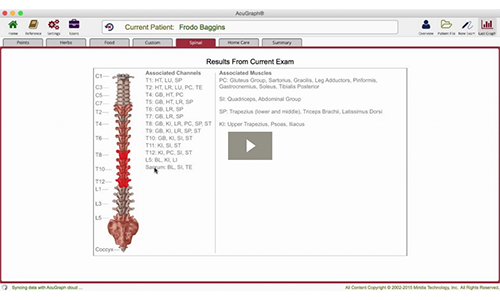 This tutorial shows you an exciting feature in AcuGraph, the spinal treatment recommendations. Discover how you can use the information from the graph to identify potential problem areas along the spine. This also includes associated muscle recommendations, which may need to be investigated as part of your patient visit. Create a patient Home Care plan using your AcuGraph 5. Learn how to add and setup specific treatment plans that your patient can do at home to continue your care outside of your clinic. 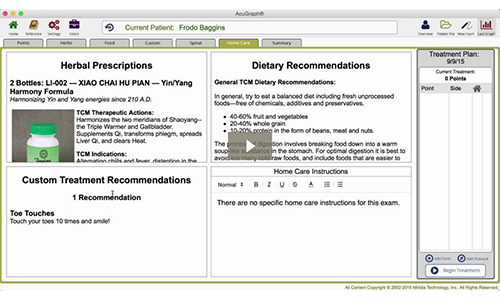 From diet, foods, exercise or whatever that you wish to include for your patient’s home care plan, AcuGraph 5 has powerful tools built in to enhance the patient/practitioner relationship. 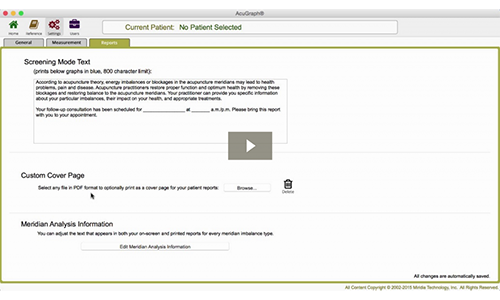 AcuGraph allows you to build and define your own custom treatment plan. Learn how to create the triggers that will recommend specific treatments, how to use categories for greater efficiency, apply your own custom treatment recommendations based on graph findings, and record these recommendations in your patient record history. 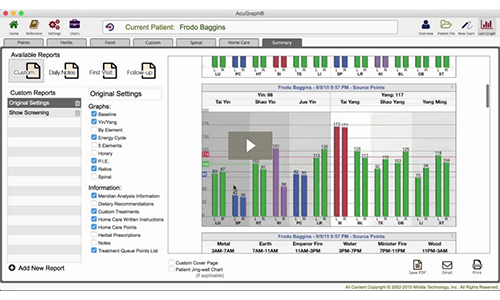 AcuGraph features easy printing and emailing of reports for increased patient communication. You can choose and customize what you want to include in the reports and even save custom reports for quick access. It’s all in this tutorial. Learn how to make your reports look more professional by adding a great cover page into AcuGraph. This tutorial takes you through the process of uploading and adding a custom cover page to your reports. This tutorial will show you how to access quickly any point information that you need while you’re working in AcuGraph. Learn how to use the reference section to help you remember the points you want to add to your patient treatment plan to further optimize and customize your patient treatments. Keep your database tidy by archiving inactive patients so only your active patients are showing. 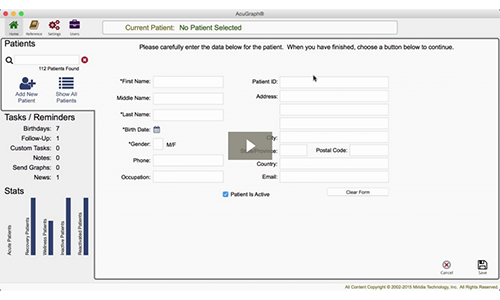 AcuGraph allows you to do so without completely deleting patient’s file but by just hiding it. You can unarchive the patient again later if you want or need to. Learn how with this tutorial.